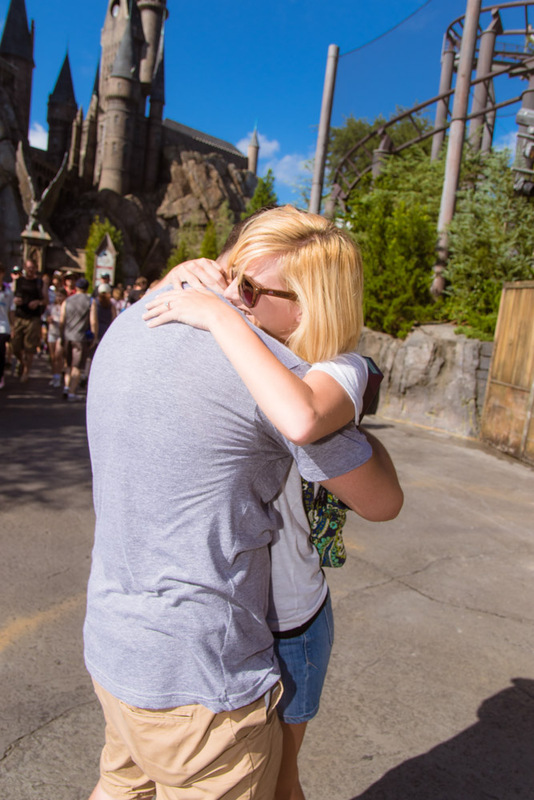 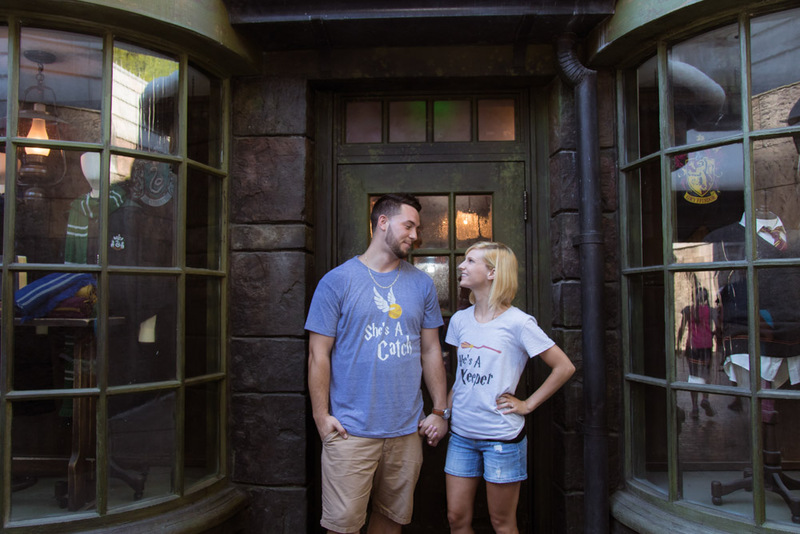 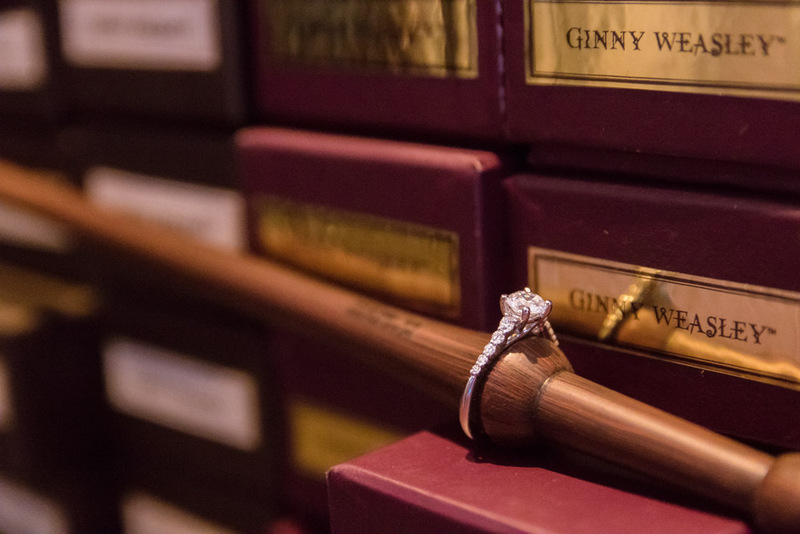 Every so often I get an inquiry of doing a surprise marriage proposal at the Wizarding World of Harry Potter, I always say yes! 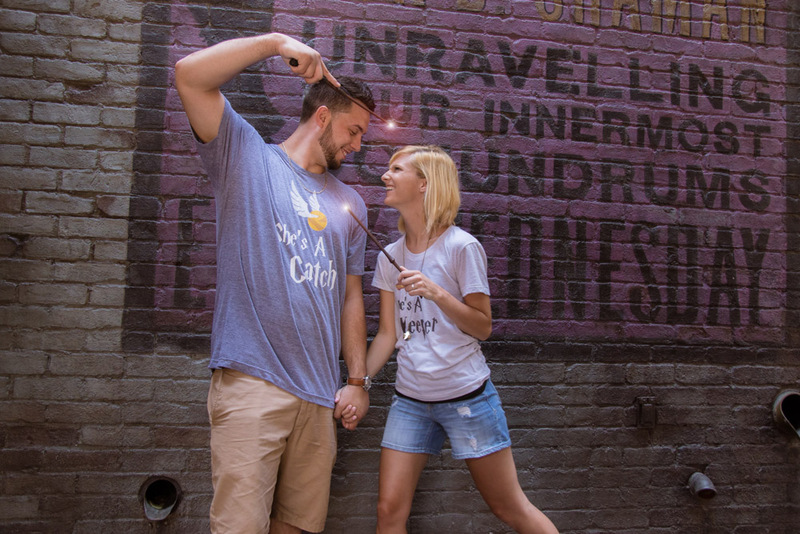 Universal Studios is an easy place to photograph (theme parks can be a challenge though but since I shot there I know the quiet spots). 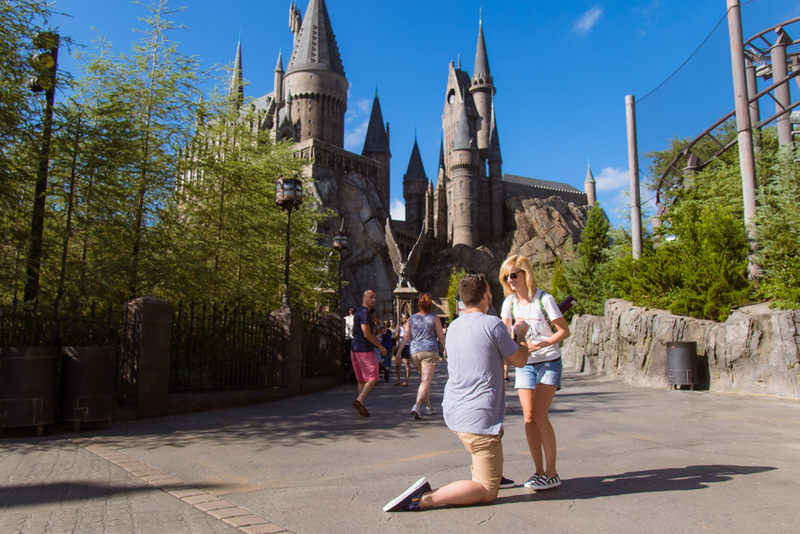 I met up with this cute couple which where he wanted the castle in the background and I always recommend to propose in the morning where the crowds are nearly existent at all. 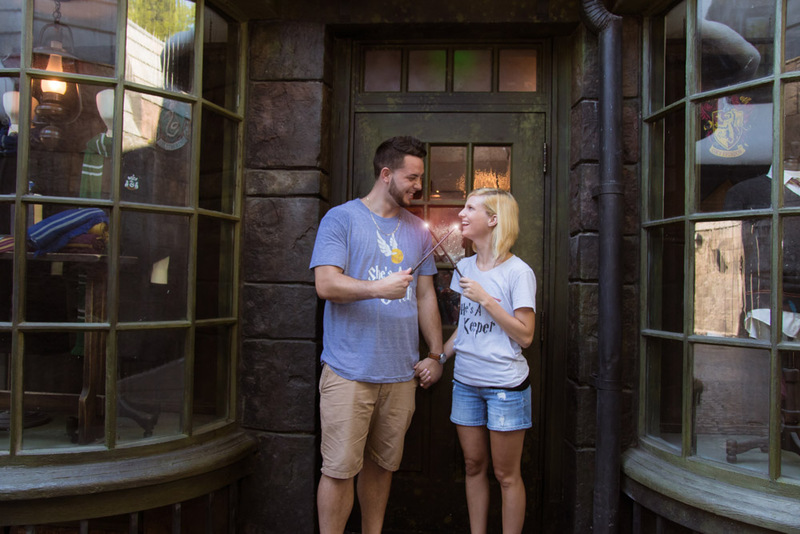 Well, it worked out and he got on his knee and popped the question! 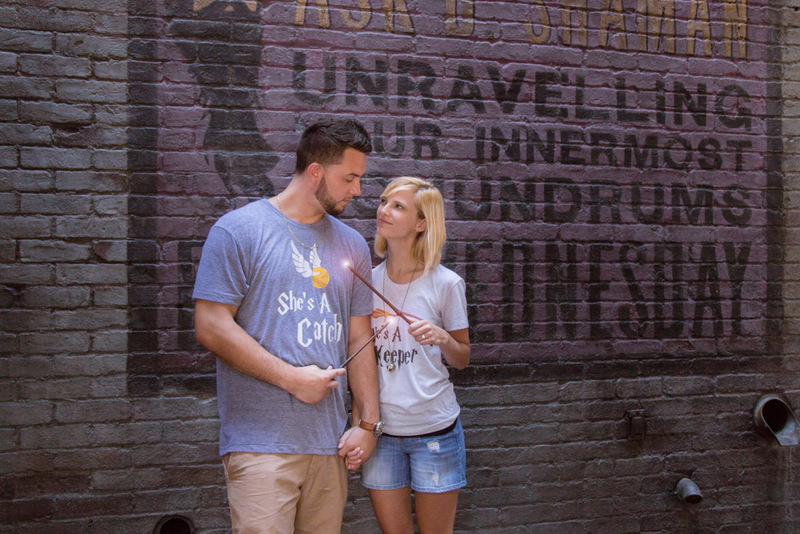 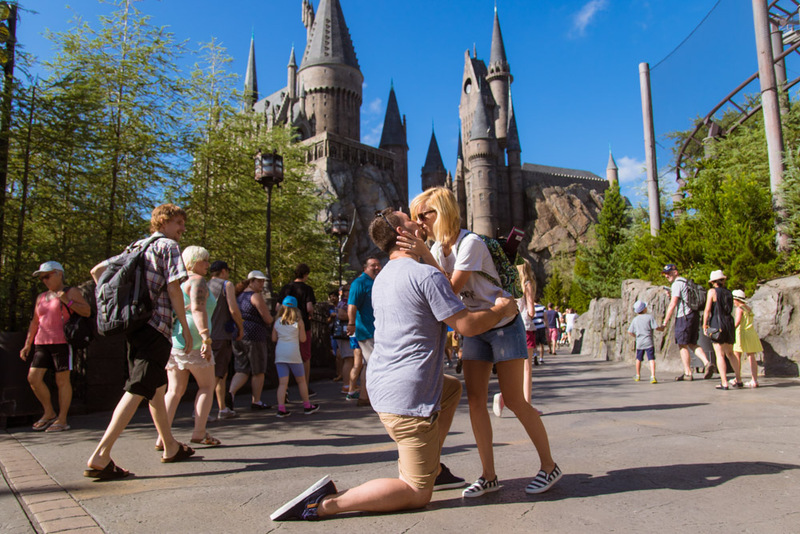 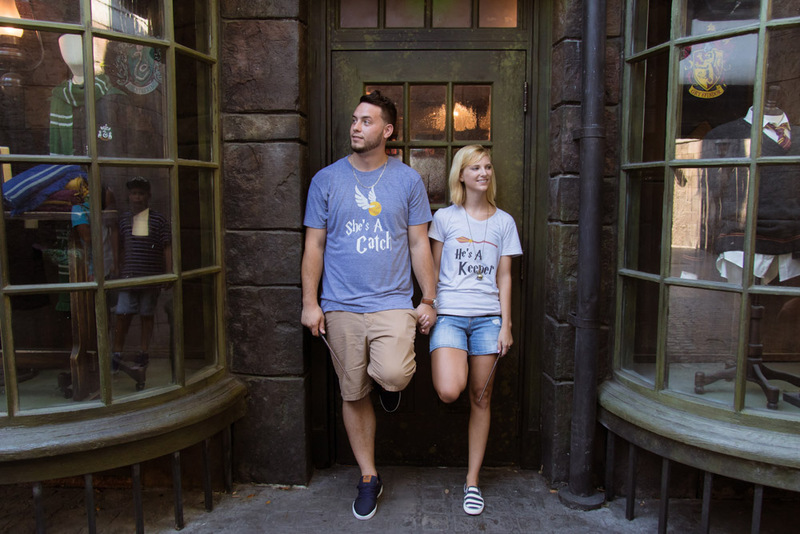 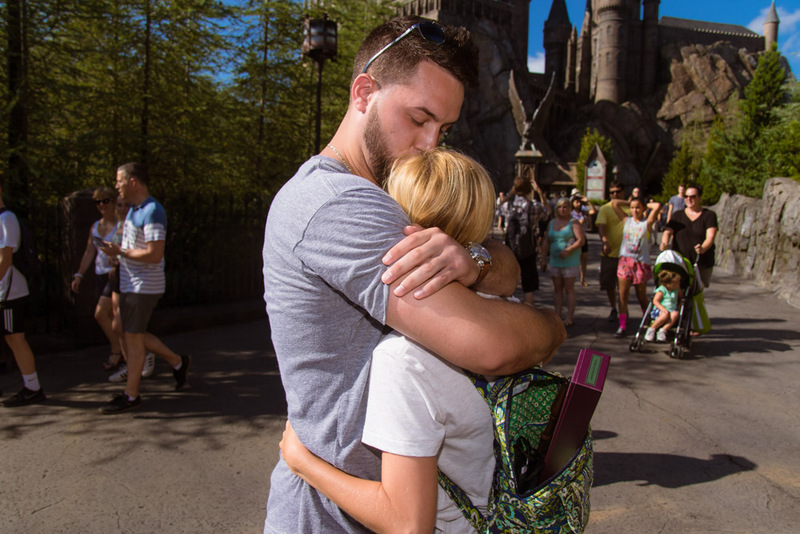 Well without further a due here are is a beautiful Harry Potter proposal at the Wizarding World of Harry Potter!